When the lights go down and the candy box comes out, this is your moment to chill. Let the worries of the week fade to black with this crystallized sugar creation. A “Red Vine” to remember, indeed. If you were or are the type to down a bag of Twizzlers at a flic then you will love this profile. It’s all red liquorice all the time. A bang on flavour replica, it even has the after tasted right. The sweetness level is perfect. We would like to see a higher or MaxVG version, it’s a tiny bit harsh and it’s the current ratio for sure. The front and back are pretty much identical, Creamy Red Twizzlers. 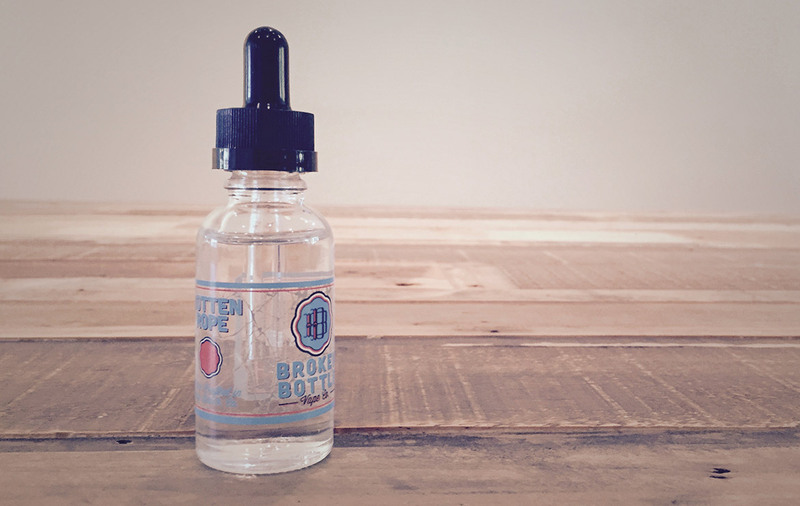 Red Liquorice fans you have it made with Rotten Rope from Broken Bottle Vape Co! All Day Vapability: For the Red Liquorice Lovers.